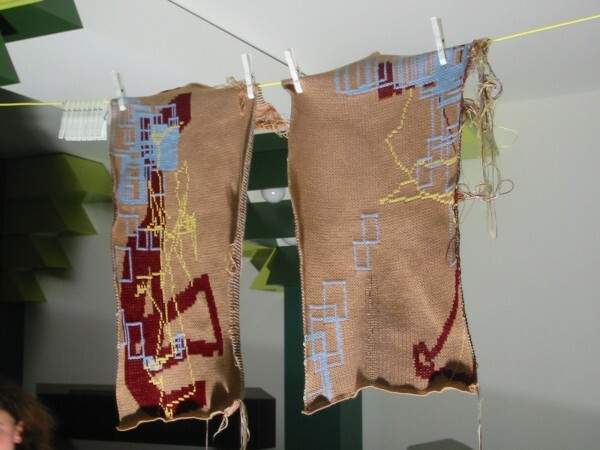 The installation Dresscode converts data traces into textile. Movements of two people are being translated into digital patterns in real time and brought back into physical space as knitted or woven fabric. With this process, the fabrics become an electronicly generated reminiscence and new reality at the same time. Dresscode is a prototype that deals with the changing design processes enabled by electronic media. Download the Dresscode Documentation in English / German as PDF Document.